I’m here with my fourth sandwich from Emeril Lagasse’s new cookbook Kicked-Up Sandwiches! Remember on Tuesday when I made Emerils Sopressata and Genoa Salami Calzones for my Husband and I made an Emeril Sandwich for me? Well here it is! Yah Baby look at that! I don’t need to tell you what kind of sandwich this is, I think the picture speaks for its self. Mmmmm, drippy homemade peanut butter, chunks of banana drizzled with honey. Oh is this sandwich good!!! 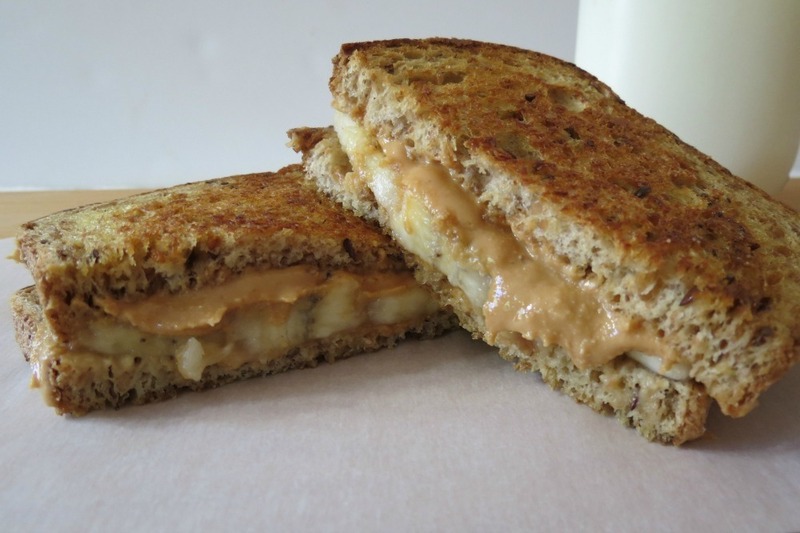 I was on Emerils site checking out his peanut butter recipes and I found this sandwich, but he used chocolate chips instead of honey. Oh, doesn’t that sound good? I bet Nutella would be good too!! The only problem with Emeril’s recipe is he said to uses 2 tablespoons of peanut butter! Are you kidding me Emeril? It’s peanut butter!! 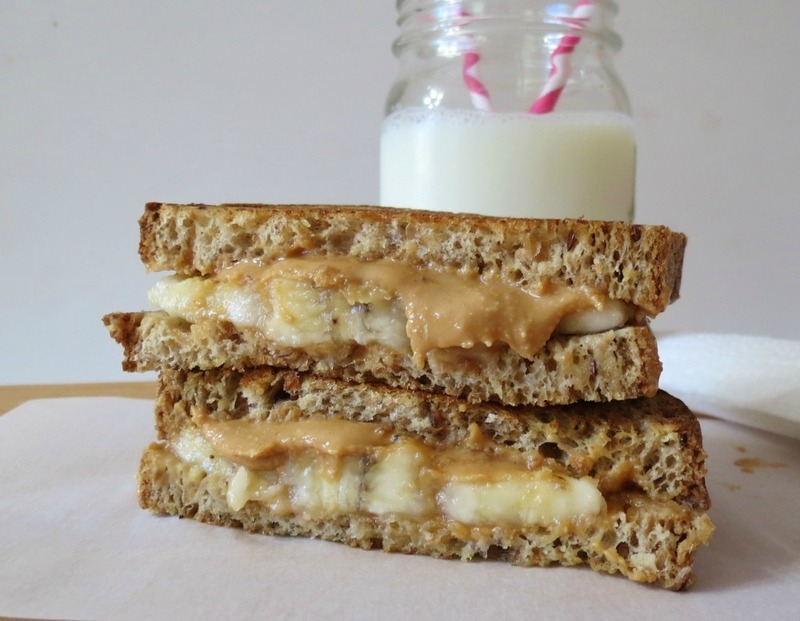 Slather that bad boy with peanut butter, lots of it! I didn’t measure it out, I just kept putting plops of it on!! If I was having a sandwich as my dinner, I was going all out!!! After all it’s peanut butter!! Yummy!!! 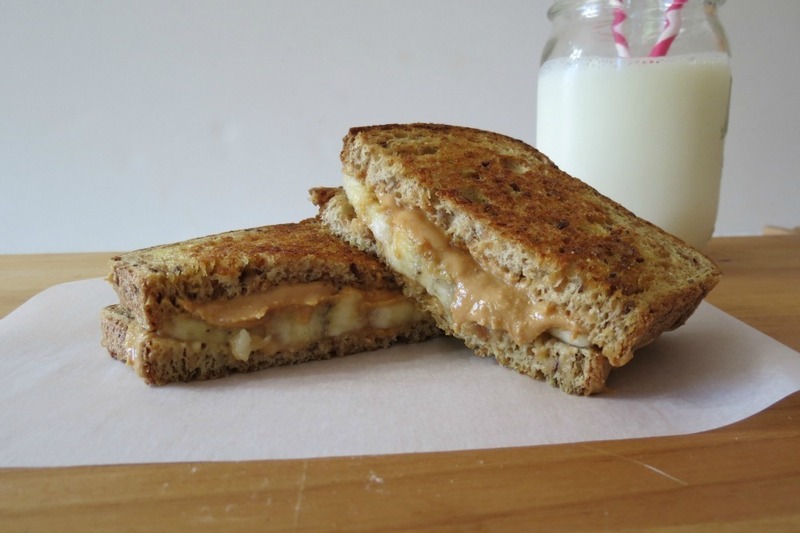 I never had a grilled peanut butter sandwich, but it was fantastic I can see this made french toast style with sweet maple syrup on top!! Oh man!!! I think I know what I’m having for breakfast tomorrow!! Guys, you have to try this! I can’t share the recipe for you, but the name of the recipe is pretty self explanatory of what is in it! Try it! You’ll love it!!! I only have three more recipes to share with you from Emerils book and my Serious Sandwich Kicked-Up is over! Well, it doesn’t mean I can’t make more sandwiches from his cookbook! I want to remind you, don’t forget to enter my giveaway to win Emeril’s cook book!! The last day to enter is October 23rd! Just go here!! If your interested to see what other goodies are in the book you can go here. If you can’t wait, and your interested in buying the book you can pre-order it before it comes out October 16th. You can just go here. Also, check out my pintrest page, there are new Emeril Sandwich recipes being added everyday. P.S. 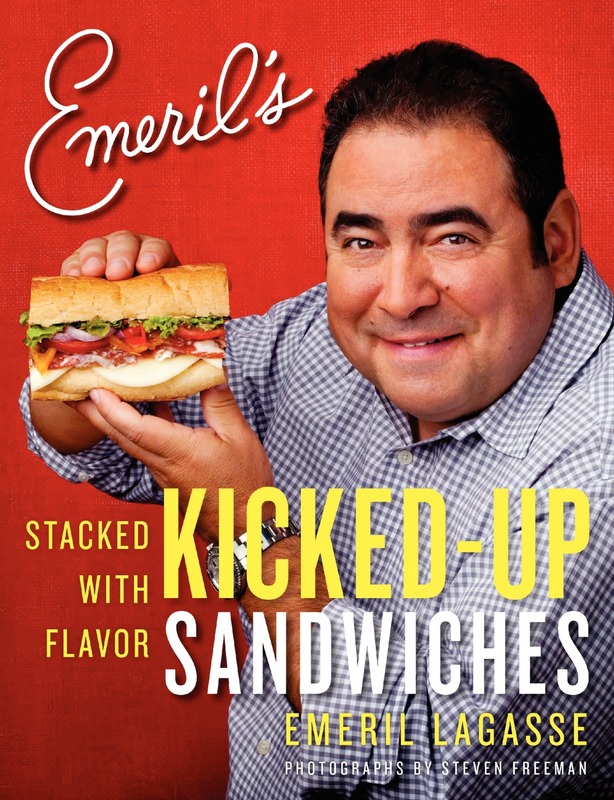 If your going to be in Orlando or New York City, Emeril is having a book signing! Stop by and tell him I said hi! Yumyumyum!!! 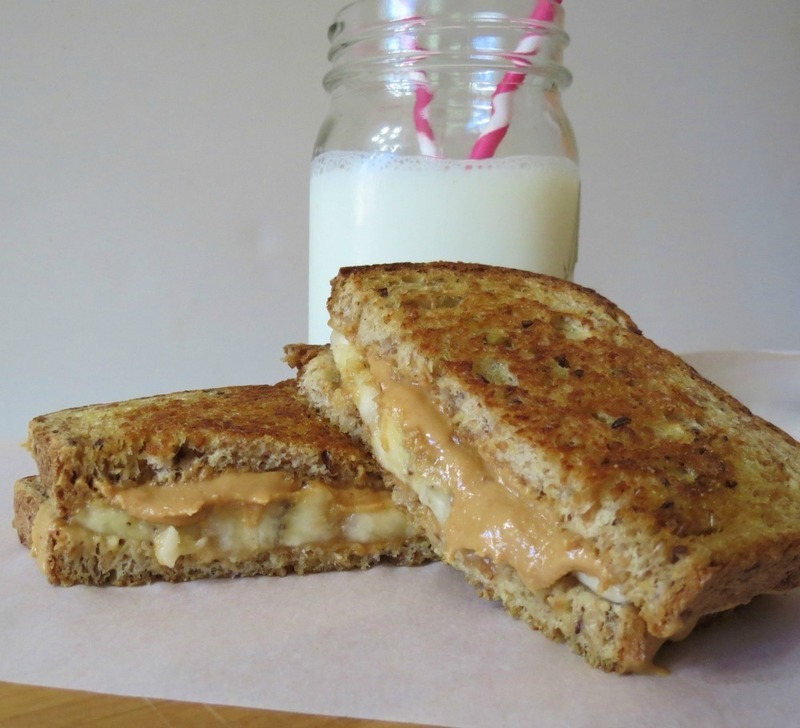 I make myself toasted pb & banana sandwiches, and this looks even better!! Thanks! First time I every grilled a PB sandwich! I will certainly be doing this again! One of my favorite Emeril #SeriousSandwiches … I think I’m going to make another one right now! I love this sandwich too!!! I think so far it’s my favorite Emeril sandwich and it’s so simple!! Gah, this looks great!! 🙂 So gooey and delicious! This looked really good, and then you mentioned making it as French toast. OMG. I need this in my life right now. Very, very yummy, I could eat this for breakfast, lunch or dinner! I had this for breakfast yesterday – oh my! I’m with you on the 2 Tablespoons, what?? Also – a Crate and Barrel outlet in Berkeley? You shouldn’t have told me! I’ll in in Berkeley next Saturday so I better make an adjustment in my schedule!!! Thanks for the tip! Go to 4th Street in Berkeley! It’s a cooks haven! They have Crate and Barrel Outle, Sur La Table, Z Gallery and a few gourmet shops!! Plus little cafe’s! Oh man, that looks awesome. I used to always have a PB, Banana, and honey sandwich wrapped in foil every time I went out to eat just in case the place had nothing good. But having one grilled? That would be 10 times better; I can only imagine the wonderful banana caramelized with it’s super sweet sugars making me savor every bite. Thanks for sharing the photos, going on Pinterest now!! Thanks RC! I love this sandwich grilled, it gives it one more level of flavor and texture! It’s a perfect grilled sandwich! I agree – the more peanut butter, the better! Oh my gosh, I was!!! What site is at on? Congrats to you too!!!! How exciting! !